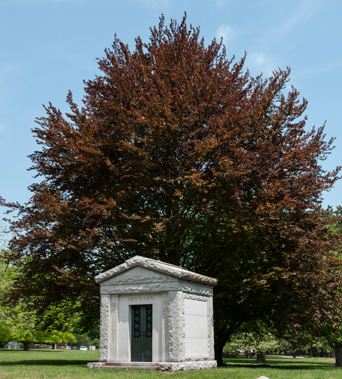 Scattered throughout Rosedale’s park-like grounds are over fifty private mausoleums that have been built since our incorporation in 1840. Families interested in building private mausoleums will be pleased to find specific areas dedicated for this purpose as well as large lots in our historic sections that have been set aside for such use. To inquire about building a mausoleum, please contact the office at any time and we will be happy to arrange a meeting with you.